The temple is a sidetrip from Pingyao, get there by bus, taxi or, in my case, rent a bicycle and pedal the 7 km to the village. 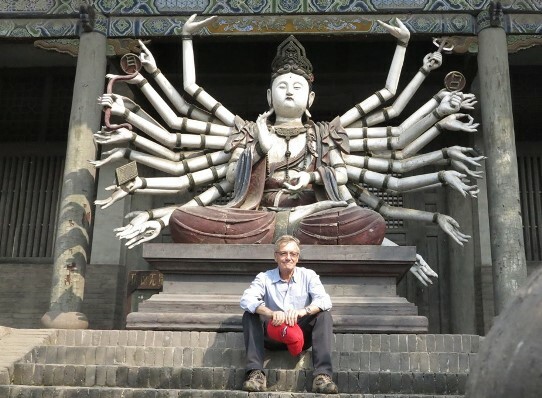 ▲ The temple’s multi-armed Bodhisattva statue. And me! Dating back to 1571 the temple is packed with Song and Yuan painted statues, all of them colourful, but looking like it’s been a long time since they’ve been touched up.